Well I'm still quite impressed or just stunned with the lengths these guys will go to for a stunt. I wouldn't be surprised if there really were some casualties at the end of the filming. But anyway, as a newcomer to Thai cinema, I can say that the actual fight sequences are choreographed pretty well, the elaborate death blows thrown in the world of Muay Thai are seen here, along with a little different touch as well. But hey, since when do judge an action movie by it's coherence, that would take out all the fun out of it. While not a great movie it is still quite entertaining, and if you don't actually speak Thai well you can probably skip the subtitles seeing as the dialogue adds little too the movie, just watch these little thai guys running around jumping off stuff and you'll be alright. This is an OK story, seen in every genre since Die Hard but not since Jackie Chan arrived have stuntman taken such a beating, driving motorbikes into pickup trucks and going straight over onto dirt, no mats, no wire work, falls from moving lorries onto moving vans, falling between lorries, as good as full contact fighting, I have watched Asian movies for 20 years and I have never seen harder falls or hits being taken, and the outtakes in the end credits prove that no wires were used, and that some of the stunt guys got hurt for our viewing pleasure. Great movie, if you like action, you are gonna love this. Undercover cops Deaw and Puntakarn participate in a sting operation to apprehend the drug lord General Yang and shut down his cartel in the Chonburi Province. 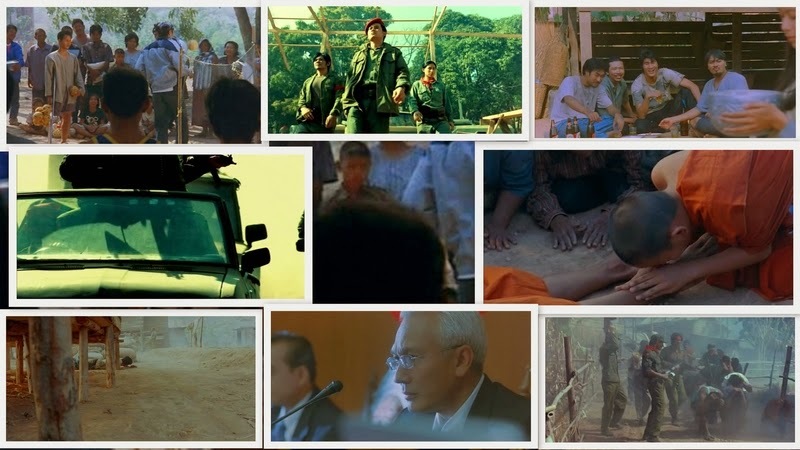 After a destructive truck chase, they manage to capture General Yang, but Puntakarn is killed by a bomb set by the drug lord in one of his trucks. Hoping to relieve the pain of his loss, Deaw accompanies his sister, taekwondo champion Nui, to a charity event sponsored by the country's Sports Authority to distribute relief goods to Pha-thong Village, located near the Thai/Burmese border. The next morning, General Yang is released from prison and airlifted toward Pha-thong Village. As the army helicopters arrive and the militia escorts the drug lord, a radio broadcast of the Thai National Anthem inspires the athletes and villagers to rise up and battle their captives. General Yang is once again apprehended after the militia leader is killed and his escorts are gunned down by Special Forces agents. Deaw storms through the militia camp, but the nuclear missile is launched. In desperation, he destroys the camp's computer equipment, sending the missile off course and crashing into the ocean. He suddenly discovers that the militia has rigged several time bombs to destroy the village in less than five minutes. With the help of the Special Forces, Deaw gets the athletes and surviving villagers to evacuate before the entire village goes up in flames.